APR stands for Annual Percentage Rate, and is a rate used by lenders (and banks) to compare costs for different credit types, for one year. The values calculated as APRs are made in the assumption that you will borrow the money for the whole year, even if you are not actually going to borrow it for that long. This is to standardise all APR values to allow for easier comparisons. It covers both the interest which you will have to pay, and any other associated fees, providing you with a theoretical total cost. APR was introduced by the government to help customers identify the difference in costs between lenders and banks, allowing customers to identify the best deal for them. Representative APR is a way for lenders to be transparent, and it signals that the majority of the company’s customers will receive that rate, although some customers will receive variations. If you decide to take out a payday loan, you can therefore compare the APRs of multiple companies to find the best deal for you. 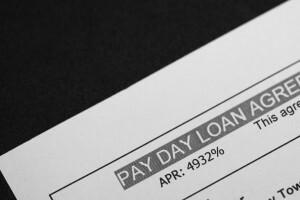 Using the APRs of companies is an effective way to compare them because they take into account all of the costs you would face if you chose to use them for a payday loan.